The theme for this month is “Kawaii Kit” and it features 6 full-size skincare and makeup products with adorable packagings (kawaii means cute in Japanese). This refreshing gel is so perfect for summer! I like how the scent is very light and it absorbed almost instantly, leaving my skin moisturized but not sticky at all. Since I received this box towards the end of August, I find this gel to be very soothing on my skin after a day at the beach, too. Isn’t this the cutest hand cream packaging ever? It even has a sticker that looks just like Dole banana sticker! 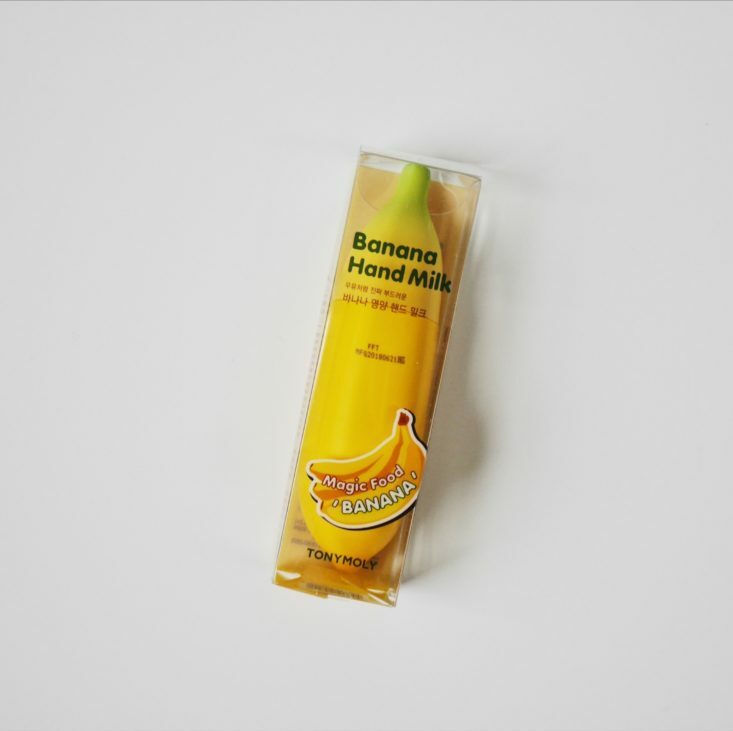 This hand cream has banana extract and milk protein that help heal and hydrate dry skin. It moisturized but didn’t make my hands feel slippery like some hand creams do, and it’s nourishing enough for me to use on my elbows/dry spots too. Plus, it smells like a banana muffin! This tissue is so fun to use! All you have to do is to wet this tissue-tablet with a few drops of water, and it will slowly unfold itself. I used it to clean my makeup as the info card suggested and I’m happy to inform that it removed my makeup completely while gently exfoliated my skin as well. Beauteque Beauty Box recommended this item when you are on the go, so I’ll be packing this convenient tissue in my suitcase next time I travel. I have been impressed with their lotion from their July’s box so I’m excited to try their makeup item. Unlike most blusher Beauteque BB Box sent me, this blush is more pigmented and I can actually see the color on my face. A little goes a long way, and I could use it as an eyeshadow as well. It lasted about 8 hours on my oily skin. This brush is super cute and it has super soft bristles. It would be perfect for setting powder since it’s quite big and fluffy. I gifted this to my best friend’s daughter since she’s a mermaid fan and she loved it so much! They have been sending the 3-step masks for the past 4 months and quite frankly I would love to try some other type of masks like their peeling gels or modeling masks rather than getting similar items. For this one, it includes hydrating essence, sheet mask, and an eye cream. It has pearl extract which “helps brighten up dark spots due to acne scarring and sun damage.” The result of this mask was a little underwhelming because I didn’t notice any difference the next day. Verdict: The total value of this Beauteque Beauty Box is $54.96, a little more than twice what you pay for it, but not as much as their promised value. I think that this box included fun & cute items to use, but the item that I have really been using the most would be the blusher and hand cream. I would say that Beauteque BB Box is really a great box if you love Korean beauty trend and enjoy trying new products! Can you still get this box if you sign up today? No, you will receive the October box. 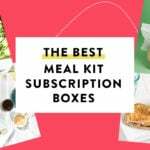 Place your order by the 15th of each month to get that month’s box. It’s not the highest value box but I’m so excited to receive it at the end of every month. 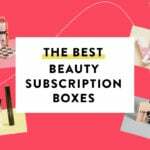 I am lucky enough to have loads of options for trying and buying k beauty products because I live in Houston but this sub has lots of variety in the kinds of products. I feel like I’m discovering things I wouldn’t already know is out there or that I might not have tried. The sleep mask from the under the sea box is one of my favorite things. I would never have purchased one before but I love the design and found out I sleep better with it. My only complaint is that it comes late sometimes. I hope creepy and cute arrives by the 31st of October because it is my Halloween treat.